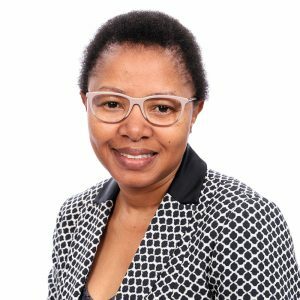 Pamela Bosman is a member of SA Institute of Chartered Accountants and holds a Bachelor of Commerce from the University of Natal, BCompt and Postgraduate Diploma in Auditing from UNISA. She is Chief Executive Officer of Lumoka Strat, a consulting company that provides comprehensive financial management solutions and facilitates Public-Private Partnerships and corporate finance transactions. Before Lumoka Strat, she worked for the KwaZulu Natal Provincial Treasury as Provincial Accountant General (Deputy Director General – Financial Management). Pamela also spent time at Department of Education in KwaZulu Natal as Chief Financial Officer, and as Public Private Partnership and Infrastructure Chief Director for the KwaZulu-Natal Provincial Treasury.